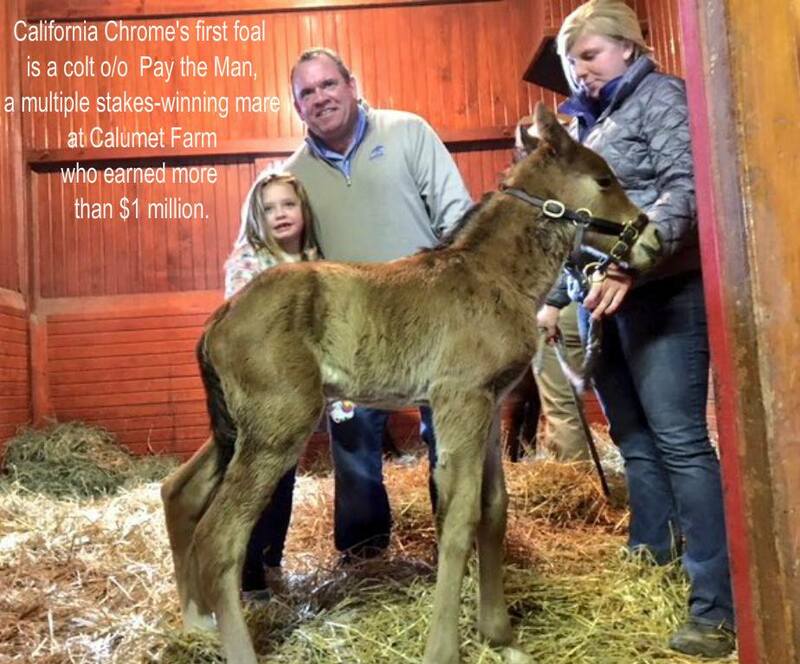 California Chrome’s first foal on the ground is a big colt out of Pay the Man. 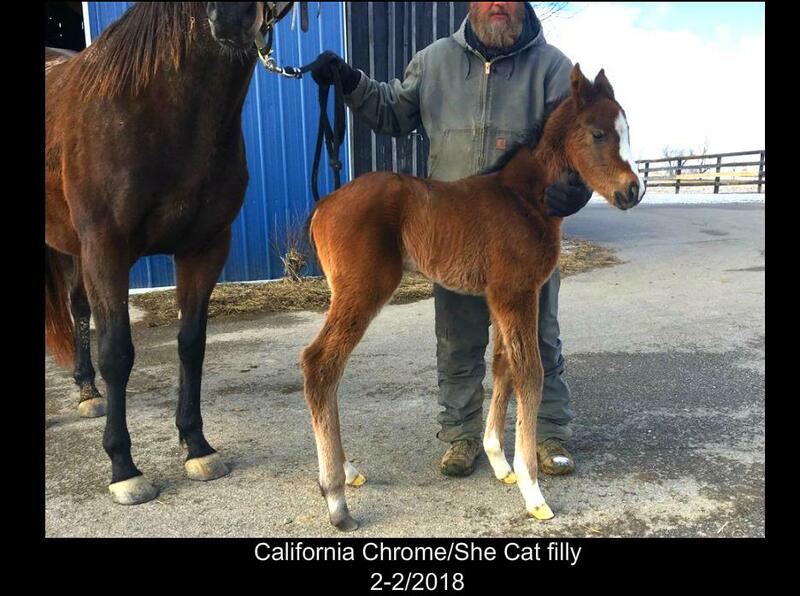 This cute baby is the first California Chrome baby. introduction, this youngster’s dam is impressive in her own right. 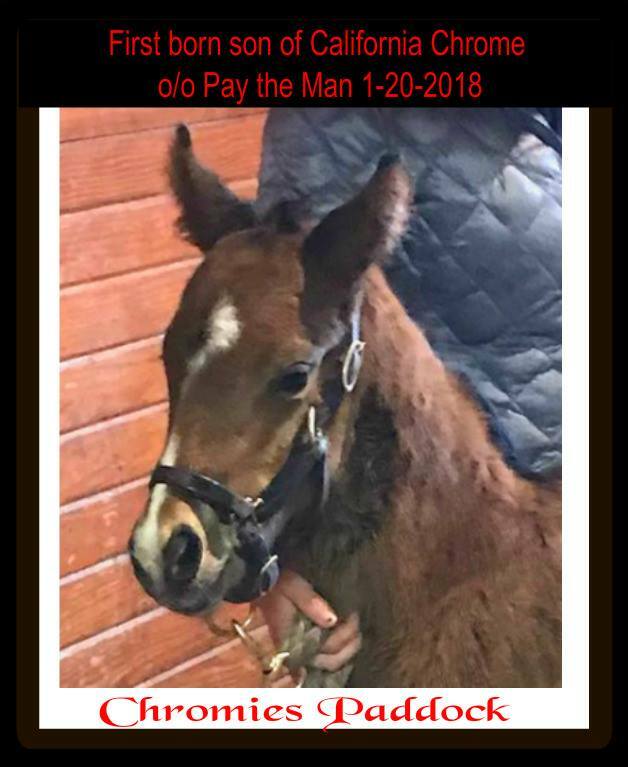 Pay the Man is the highest-earning Ohio-bred filly in history. She won 27 of 76 starts over nine seasons of racing for $1,058,511, highlighted by 21 statebred stakes victories and 14 additional stakes placings. 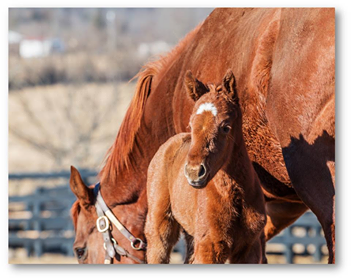 She was purchased as a broodmare for $95,000 and this is her third foal. 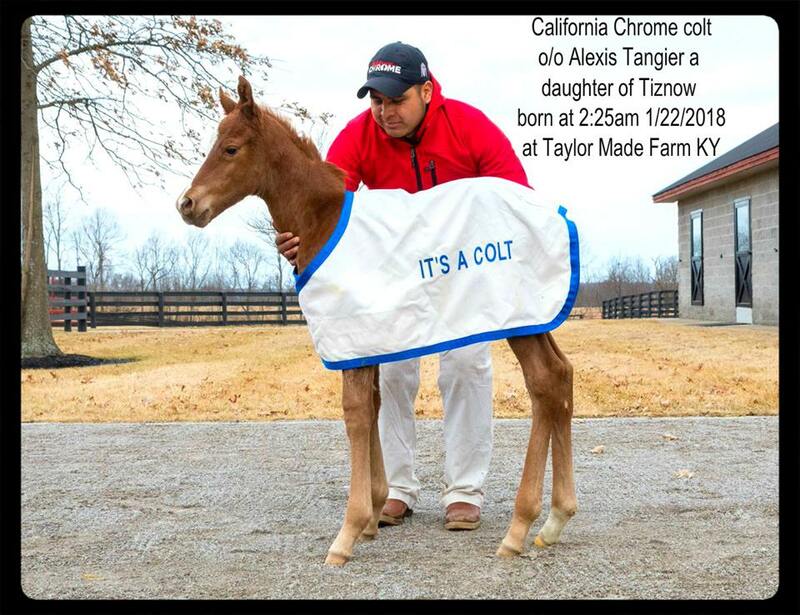 California Chrome’s second foal was born just two days later, also a colt. California Chrome was bred to a reported 145 mares in 2017 with a stud fee of $40,000. Prepare for a cuteness overload. This colt was born January 22 out of Alexis Tangier. 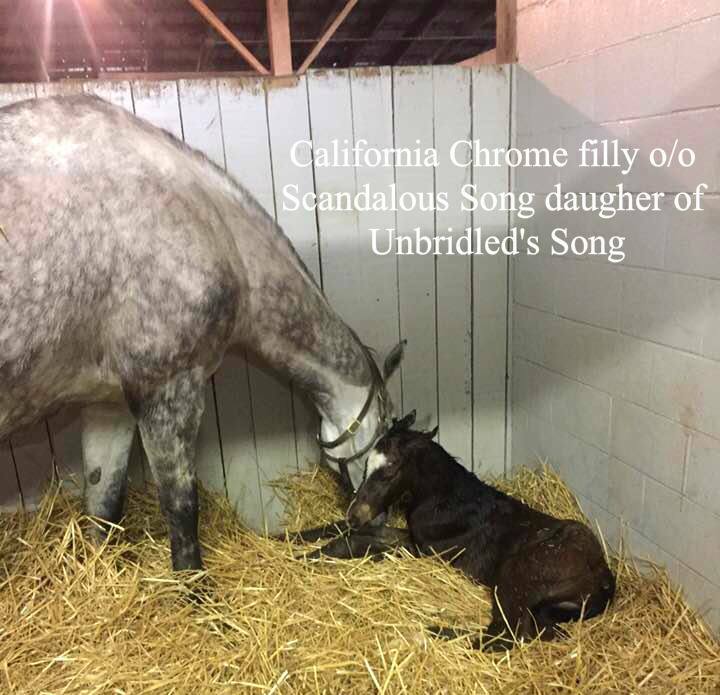 Chrome’s first Filly is out of Scandalous Song. She’s been named California Reign. 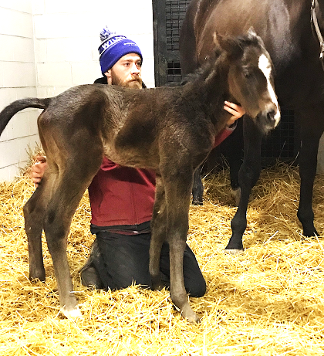 This filly is out of Lady Chelsey, born January 25th. This filly, out of Right There, was born January 24th. 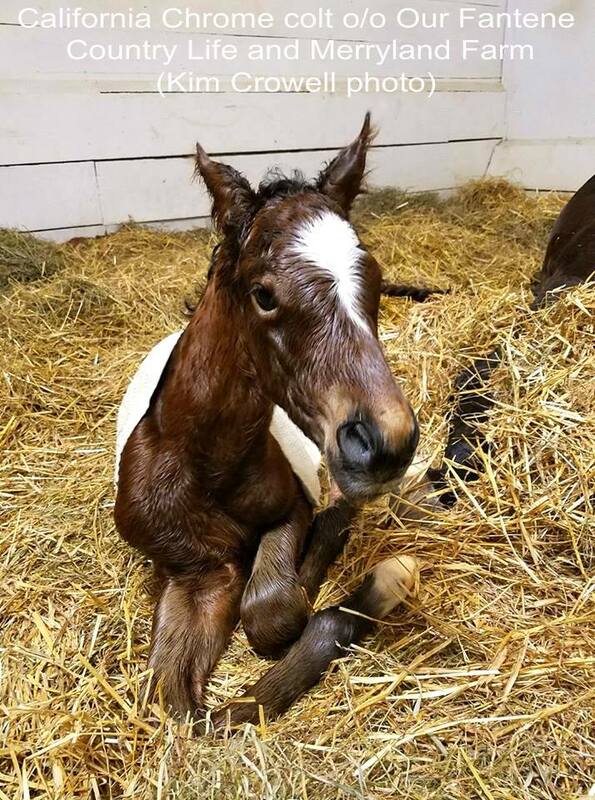 This cute colt is out of Our Fantene. And here’s nice looking filly out of She Cat.